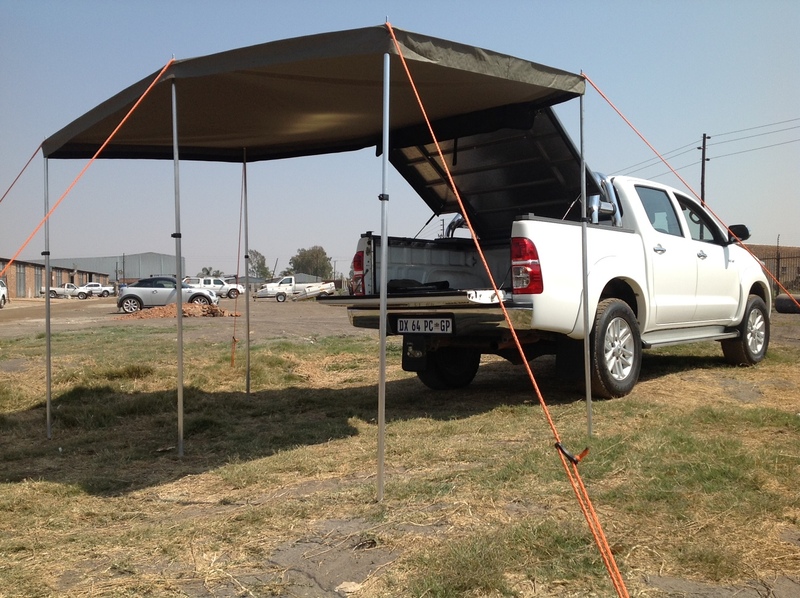 The Uni-Awn has been developed to offer our customers a universal and cost effective solution to creating that much needed shade on those long hot Africa days. 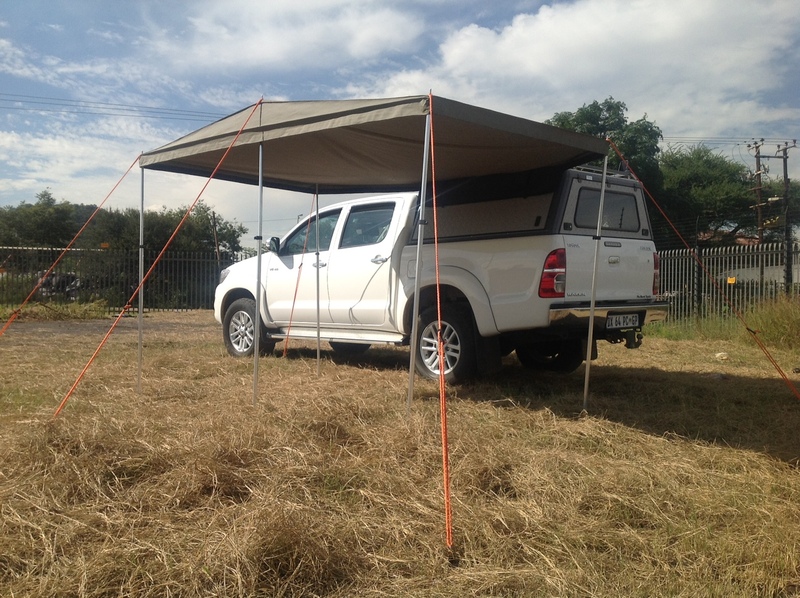 The Uni- Awn can be fitted instantly to virtually any vehicle, canopy or trailer with or without a roof rack. 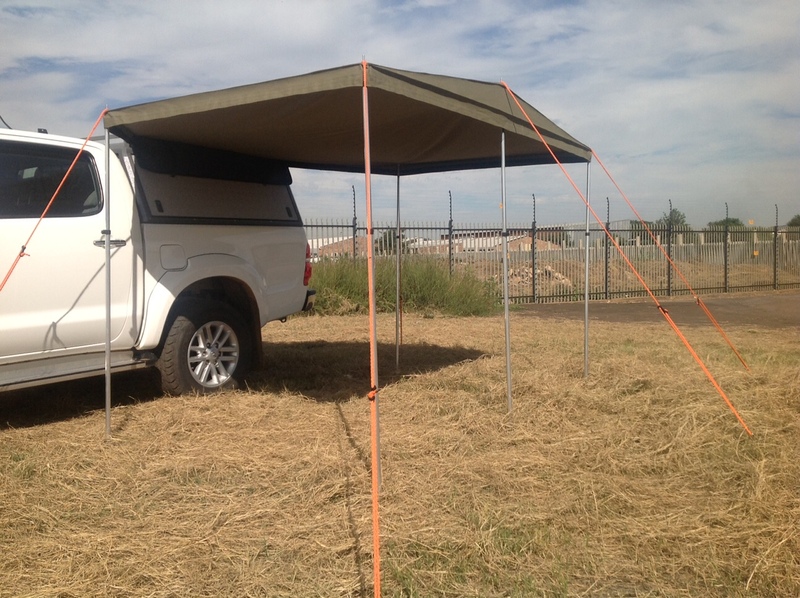 The Uni Awn bag can either slide into the piece of aluminium awning section that we supply with the awning, or it can be secured by the straps that are stitched into bag. 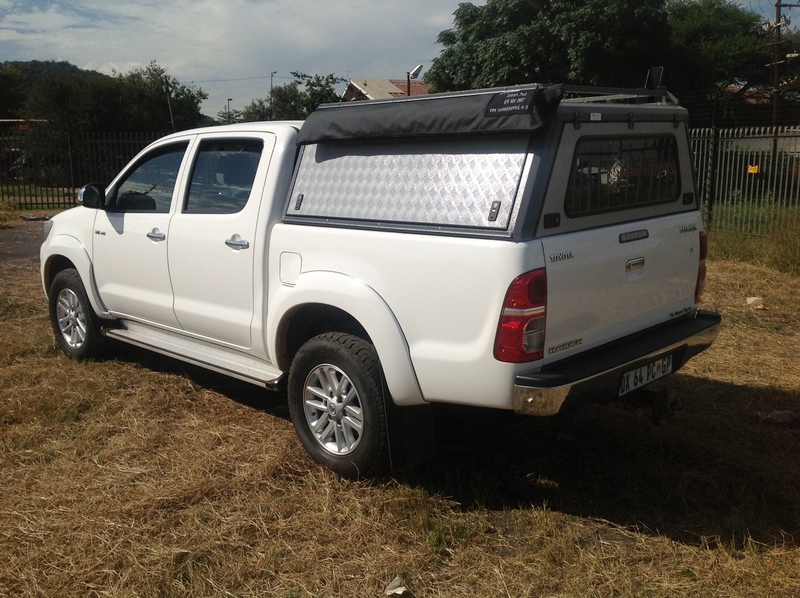 When the awning is closed then the bag is only 1.5m L, which is the ideal size for a D/cab canopy but when opened the awning is 3m L x 2.4m out from the vehicle. 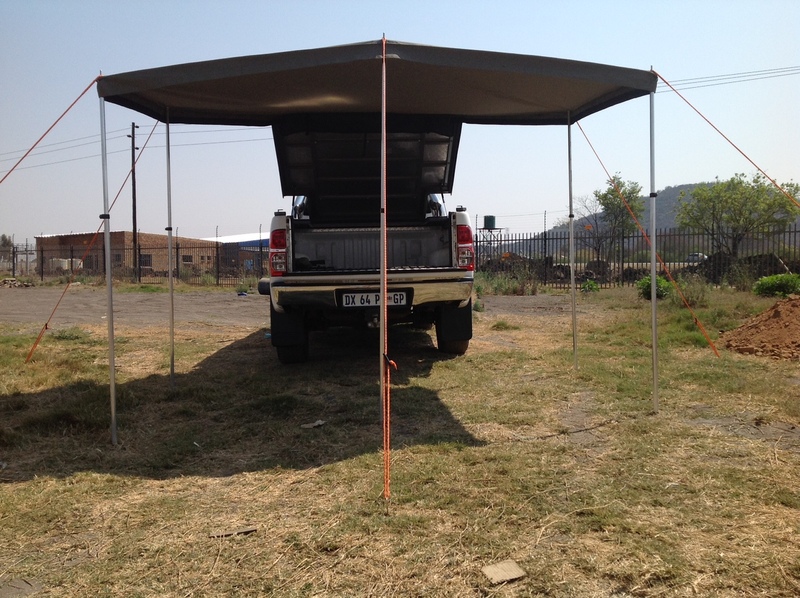 We supply 5 x telescopic aluminium poles with the awning all of which fit into the bag. 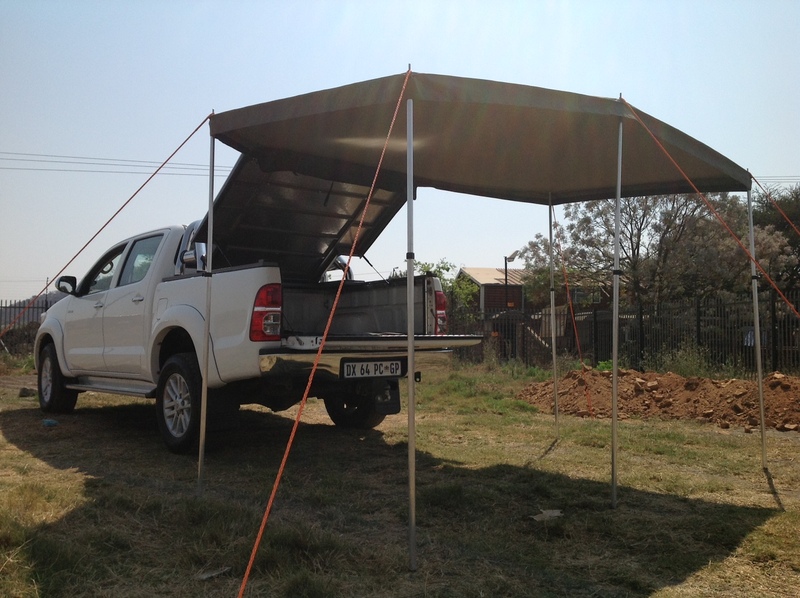 As with all of our awnings we also offer sides walls for the Uni-Awn.